A copy of this rare specimen had sold for $172.50 on eBay July 15, 20141. 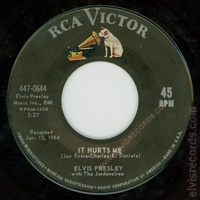 Disc: Black label, dog near top. Large font spacing. Copyright information in all caps. 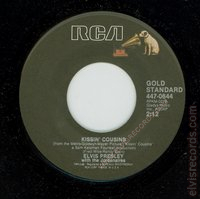 Radio Corporation of America on bottom. Disc: Black label, dog near top. 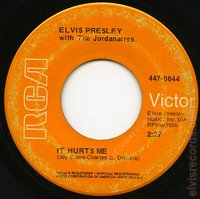 Tight font spacing. Copyright information is not all caps. RCA on bottom. 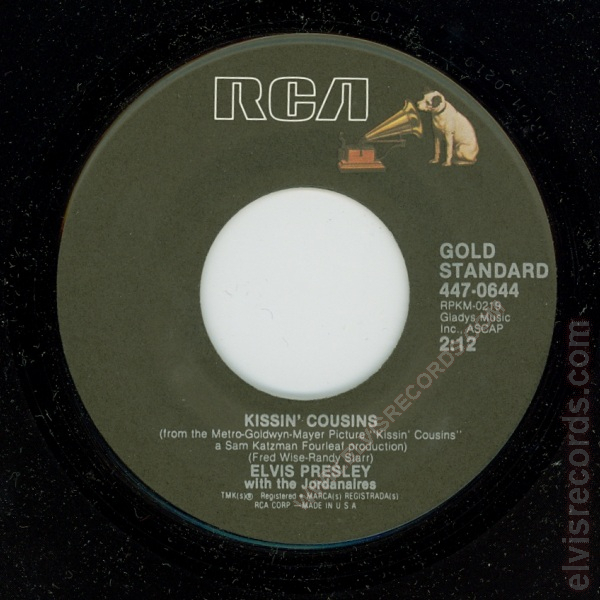 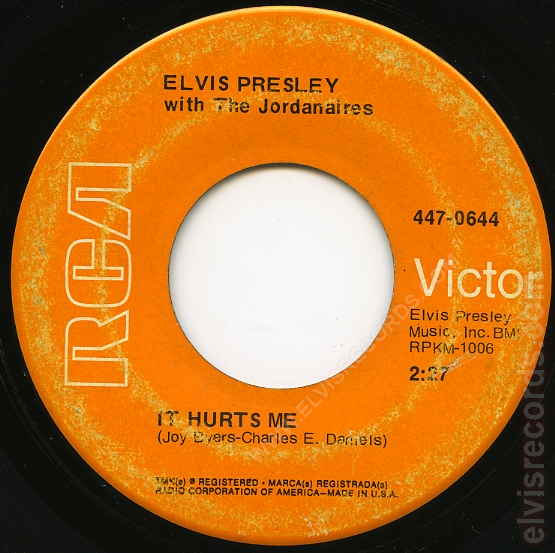 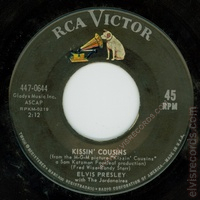 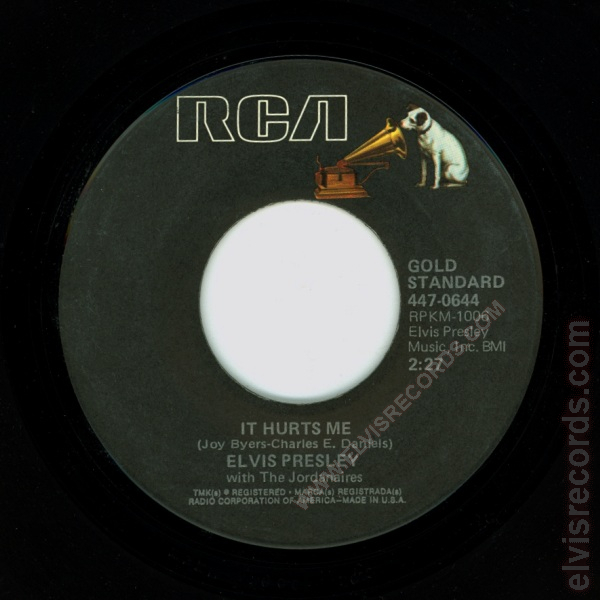 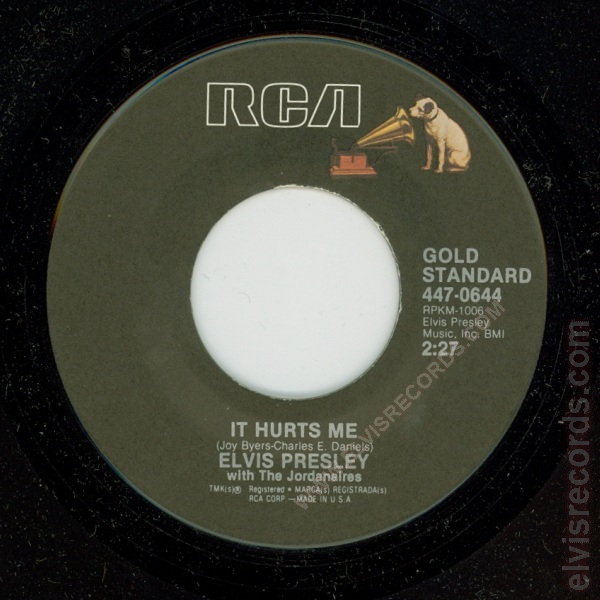 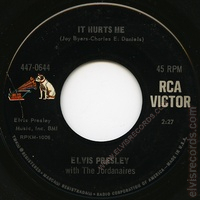 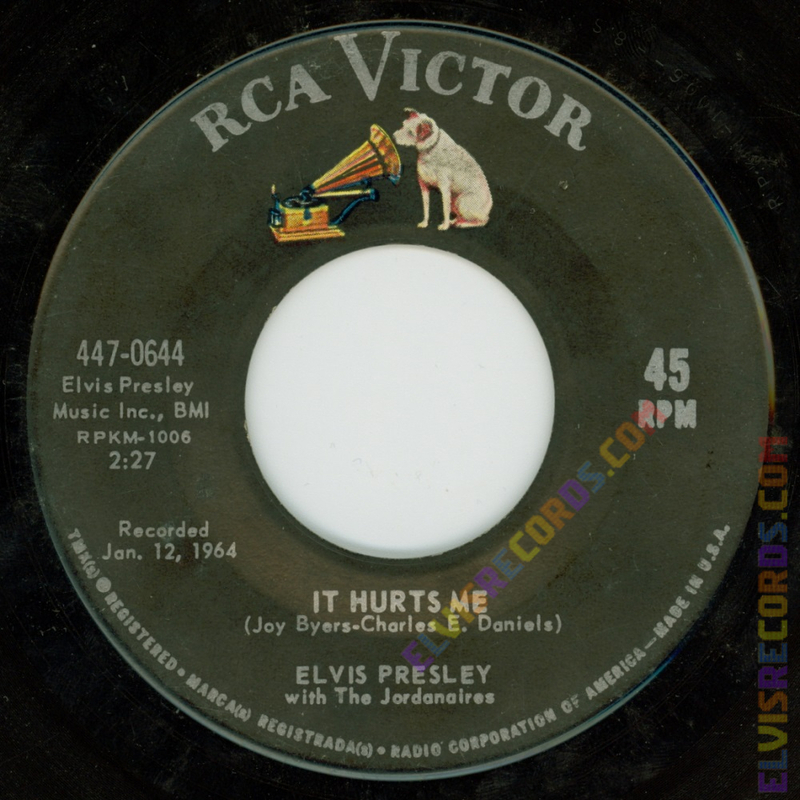 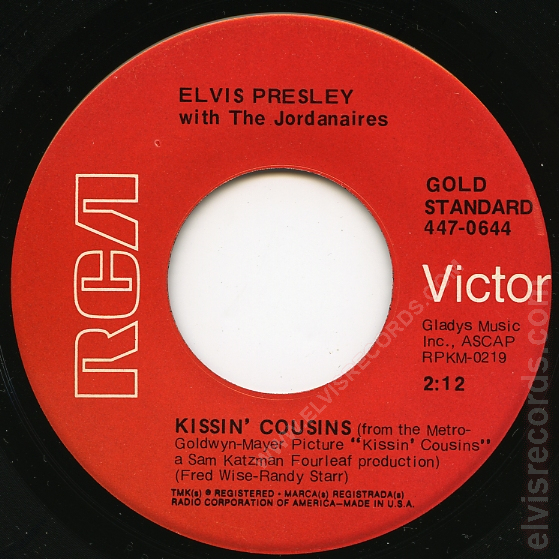 Originally released by RCA Records on as Kissin' Cousins / It Hurts Me.